Tote bag sewn from a thrifted leather skirt and sherpa. 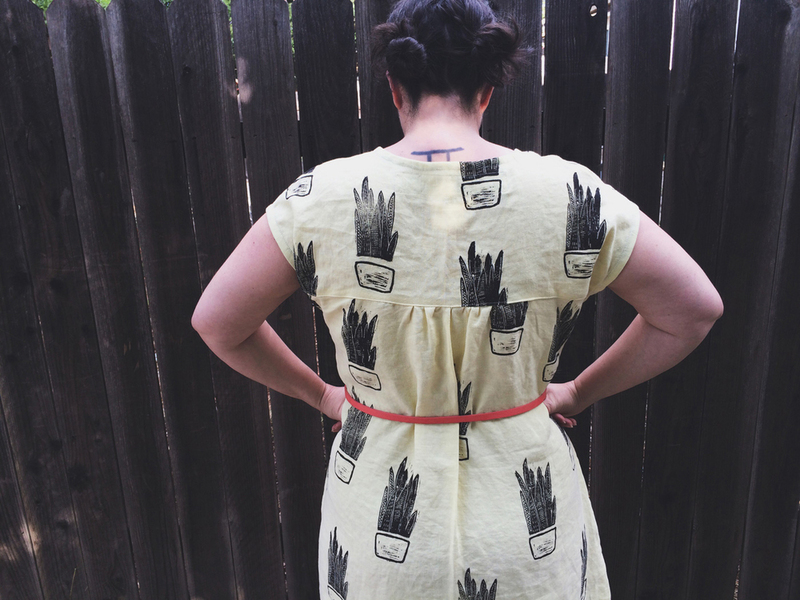 Dress with block printed pockets, guest post for imagine gnats. Dress made from vintage linen table cloth and block printed.